As you know, Pınar Selek sentenced to aggravated life imprisonment in January 2013, despite being acquitted of the same charge three times in the past. Experts called to speak on the case frequently posited that the explosion was not caused by a bomb, but by a gas leak. Pınar Selek’s lawyers appealed against the sentence but the Chief Prosecutor of the Supreme Court of Appeal made a judicial request for the approval of Istanbul 12th High Criminal Court’s recent verdict sentencing Pınar Selek to aggravated life imprisonment despite lawyers arguing that the Kafkaesque judicial procedure breached all known international and Turkish standards concerning double jeopardy and criminal trials. Last year’s final verdict, which was handed down in spite of chief judge Vedat Yılmazabdurrahmanoğlu’s opposition, stirred great outrage both inside and outside Turkey. Yılmazabdurrahmanoğlu rejected the verdict on the grounds that there was a lack of proof that the explosion was even caused by a bomb, but he was outvoted by his colleagues on the court board. Following the ruling, the Turkish Justice Ministry issued a red notice for Selek’s capture and applied to French authorities for her extradition. The red notice request of Ministry of Justice rejected by Interpol recently. Now, Pınar Selek, who was not asked a single question about the explosion, became the only suspect convicted in this case ! This example signifies how Pınar Select has been blatantly targeted. Although the forensic evidence and analysis concluded that there was no criminal conduct, the system strived to create a criminal. Pınar Selek was criminalized even before the construction of this crime. All these acts of injustice have aimed to turn a peace activist into a mass murderer in the eyes of the public. Rather than put an end to the injustice that has wounded the public’s conscience, the Chief Prosecutor of the Supreme Court of Appeals inexplicably revoked the recent ruling of acquittal and made a judicial request to approve Pınar Selek’s sentencing to aggravated life imprisonment. We are now in the most critical situation. If the Supreme Court approves the local court’s ruling against Pınar Selek, there will be only one more way to appeal against the approval of the ruling and we will have a very small chance to change the decision. There will be only one hearing at the Supreme Court and then the Supreme Court will announce its ruling on the case. So we kindly urge you to come to Ankara or to send observers to the Pinar Selek’s hearing which will be held on 30th of April, 2014 at 09:00 a.m. at Supreme Court Criminal Chamber No : 9. We do need your support and it can be our last chance to support Pinar Selek. Any of your contribution will be vital. We are trying to organize the stay of the observers in Ankara. We have enough houses to host the observers. Ms Ulku Ozakin is responsible of organizing the stay in Ankara. You can contact Ulku Ozakin (uozakin@gmail.com)about your stay. If you like to stay at hotel, we have already found cheap hostels to stay (10 Euro for one person for one night). We are trying to find free hotel also if our houses are not enough. Members of LGBT and feminist organizations and leftist parties are volunteers for your stay in Ankara like in Istanbul. Please do write Ms Ulku Ozakin for the organization of Ankara. And please cc every message to me and Ms Yesim Basaran (Yesim.tuba@gmail.com). I personally will be in Ankara one day before the trial. We hope we can arrange a meeting before the trial. We will write you about the details as soon as we can arrange everything. We would like to preserve our trust in justice as we did throughout the 16-year trial and persecution of Pınar Selek. Thus, we urgently reiterate our request to fix this huge and terrible mistake. 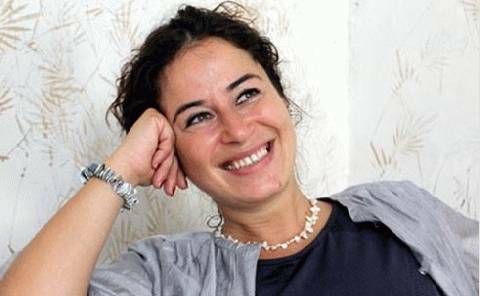 We demand Pınar Selek to be acquitted once and for all. We do hope that you can come to the trial to support justice. We are looking forward to your respond.